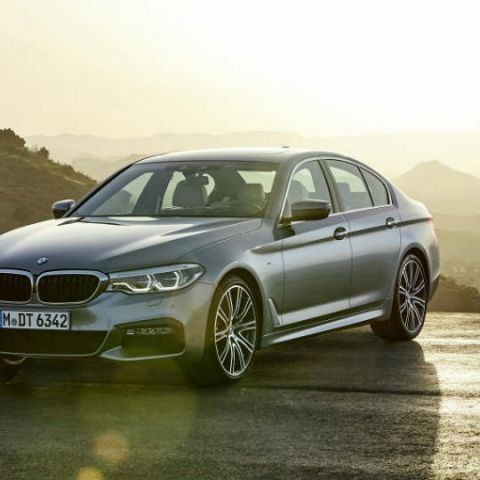 The BMW 5 series is the company's latest tech-laden offering, and has reportedly grown by 38 percent year-to-date. BMW India has reported strong year-to-date growth figures in 2017, and much of its strong growth has been buoyed by the new 5 series sedan. The BMW Group India has reported growth of 17.3 percent for the period between January and September 2017, as against the same period in 2016. The new BMW 5 Series has produced a marked improvement in the in-car luxury and equipment arsenal. Based around the top-of-the-line BMW 7 Series, the new BMW 5 Series includes the all new smart key for fully automatic parking, and other intuitive features such as pre-timing the air conditioner. The iDrive-based infotainment system also gets a touchscreen input, along with the standard voice and handwriting recognition. The 2017 BMW 5 Series is also powered by 3-litre diesel and 2-litre petrol engines, producing 263bhp and 249bhp respectively. The latest BMW offerings also come with the xDrive technology packages, which include features like automatic start/stop, brake energy regeneration and more. Other new BMW launches have included the M760Li to spearhead the premium 7 Series, and going forward, have plans to launch an all-new BMW X3 SUV, and even a 6 Series GT, in India. Even with the Mini division, BMW has introduced an intriguing JCW Pro Edition based on the Mini Cooper S 3-door. With each of the new cars, BMW India is aiming to provide an edge on either the performance (like the 200+bhp engine on the Mini) or the equipment arsenal (like the 2017 BMW 5 Series), in a bid to stand out against competition in the luxury segment. India’s luxury market of cars have seen considerable increase in volume, with the likes of Mercedes Benz, Audi and Jaguar-Land Rover stepping up with more launches. The introduction of new players like Lexus have also made this space more exciting, which expects to see driver assistive technology, semi-autonomous and connected services being introduced on Indian roads.